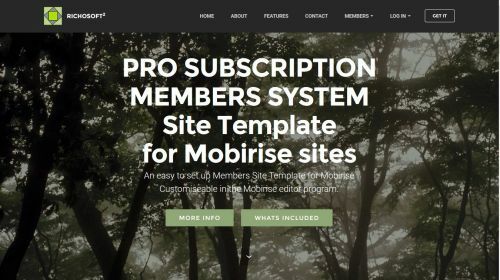 PRO Subscription Membership System Site Template for V4 Mobirise* sites. NEW!My account area for Members where they can edit some account details and view their PayPal transactions. NEW!Optional Lifetime Membership subscription option.